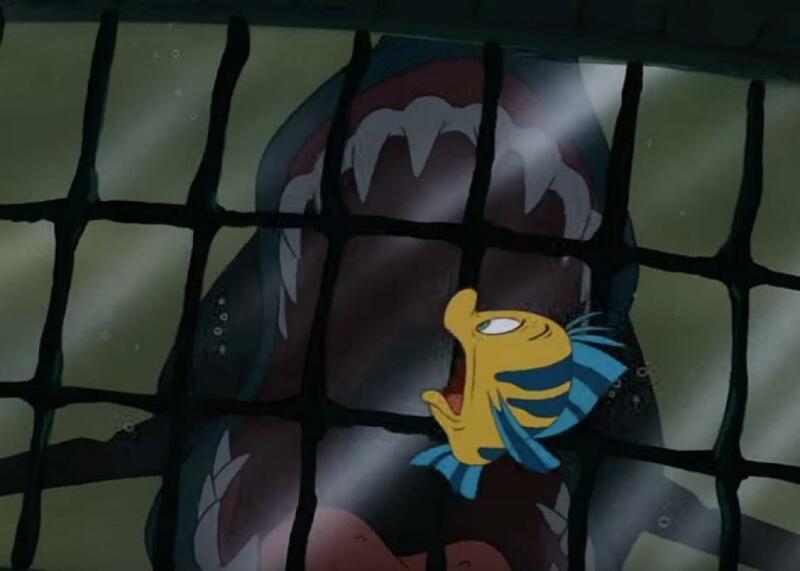 A shipwreck expert walked us through the world of Disney's The Little Mermaid. Ariel peers into an anachronistic porthole. If I were asked to picture a shipwreck, a clear image would pop into my mind. I’ve never seen a shipwreck in real life; most of us haven’t. My imaginary shipwreck has a very clear source, though, one that was influential on my young mind. I’m imagining the shipwreck from Disney’s The Little Mermaid. 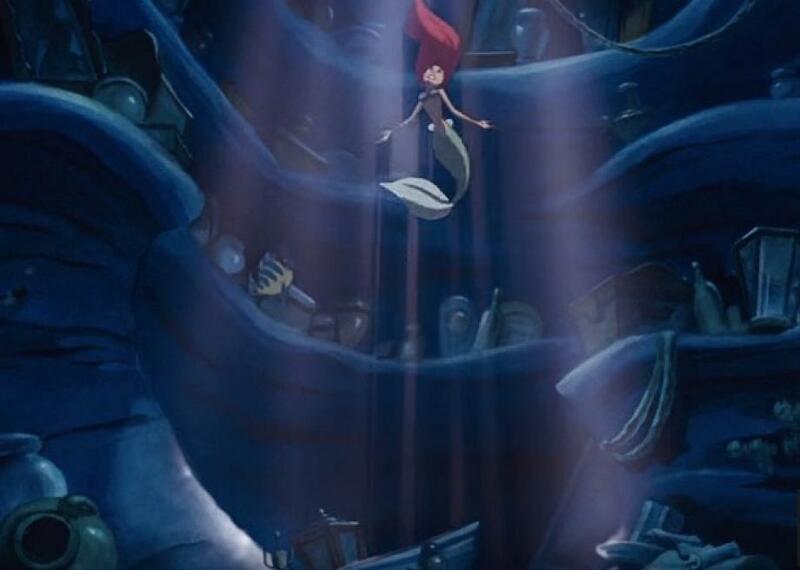 For me, the shipwreck that Ariel explores was iconic. 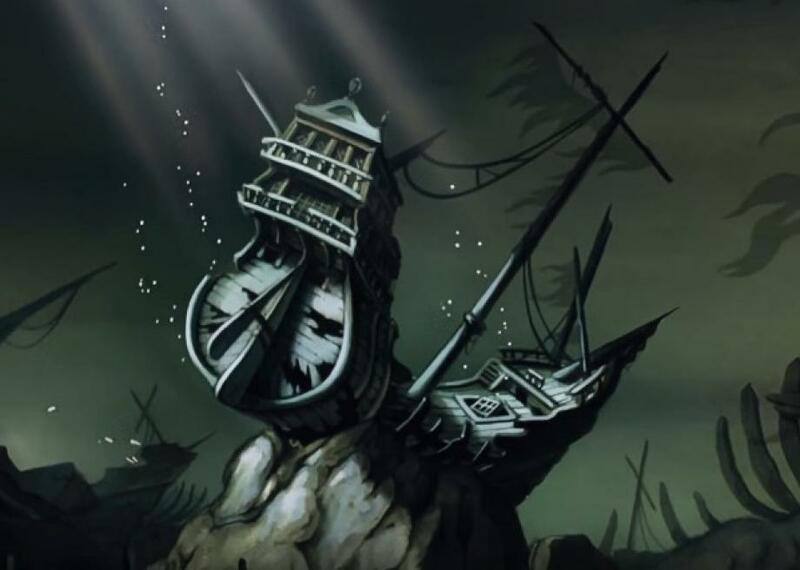 But, if this is the vessel that defines shipwreck for me, how much of my idea of a sunken ship is pure Disney magic? Is there any truth to it? The Little Mermaid shipwreck was not one he had considered closely before, but Crisman graciously agreed to watch a few clips from the movie and give me his professional opinion about the wreck where Ariel famously finds a dinglehopper (also known as a fork). Now that I write about real shipwrecks, I wanted to know: What type of ship were we looking at? What made internal sense? And what was total fantasy? Crisman’s take on the nautical accuracy of The Little Mermaid? “There are discrepancies.” Some big ones. But there were also some details that made a surprising amount of sense. The shipwreck enters early in the film. At Triton’s palace, the entire court has gathered to celebrate the debut of Ariel, the sea king’s youngest daughter, at court. But when the shell where she’s supposed to be hiding opens—gasp!—she’s not there. Instead, we see her swimming with her anxious yellow pal Flounder, far from the palace. She’s in search of anything that once belonged to humans, and shipwrecks are treasure troves. She has a destination in mind. I had worried that the ship might be a Frankenstein’s monster of a vessel, with different parts grafted on from different eras of shipbuilding. But to Crisman it’s a recognizable type of ship. “I think they’re going for a Spanish galleon,” he says. The ship appears to have been built in the 1500s or early 1600s; it’s in the style of Europe’s Renaissance period. There are still ropes and sails hanging off it, which gives a clue to the time frame of when the ship went down. In saltwater, organic matter like this rots quickly. Since the sails are still there, this ship probably sank within the last four to six weeks. It’s also pretty obvious to Crisman why it sank. “There’s no way for the water to flow around the rudder of this ship, which would have been impossible to steer,” he says. The stern of the boat is flat, like the top of a barrel. Some ships of this era did have flat sterns, but they were tapered to allow the rudder to reach the water. This boat never had a chance. 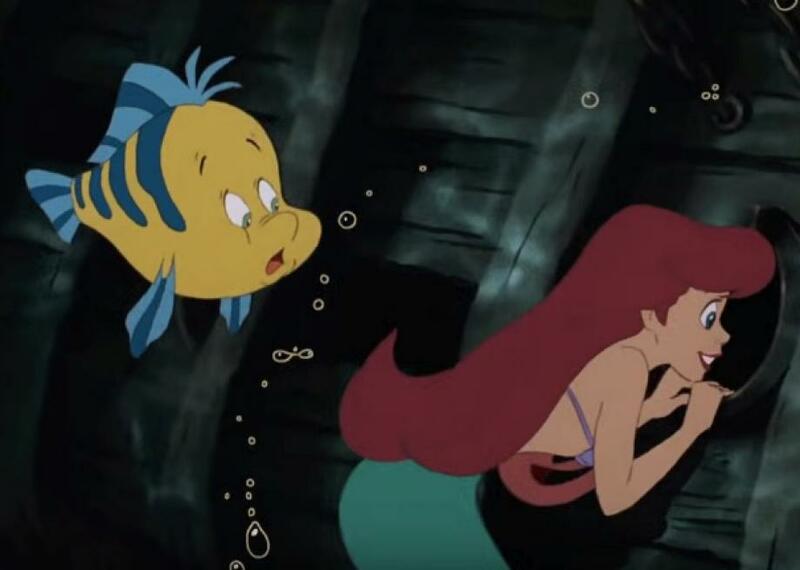 Once inside the ship, Ariel and Flounder start exploring; Flounder makes the first find. 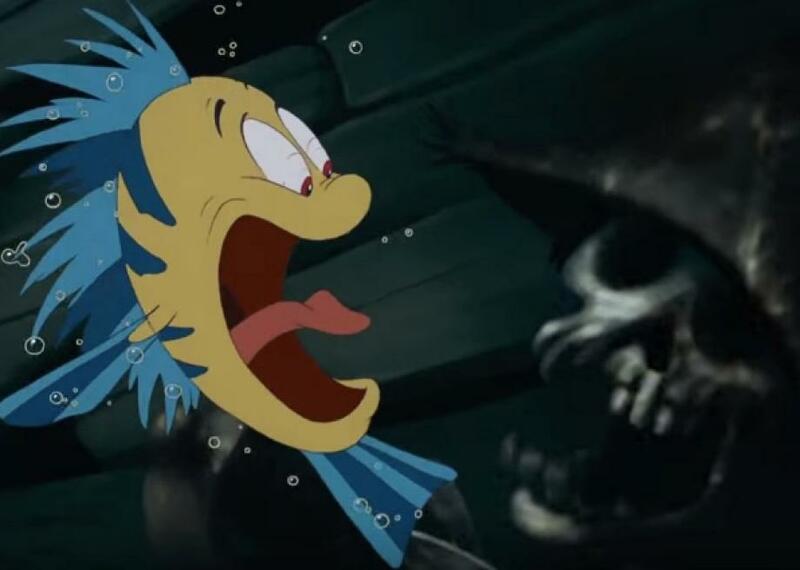 Flounder encounters a fairly recent skeleton. Flounder, nervous about being in the forbidden shipwreck to begin with, is not exactly reassured to come face to face with a skeleton. The skull, though, is also consistent with the timeline that Crisman laid out. Bodies deteriorate pretty quickly; usually the corpse floats on the underside of the deck. 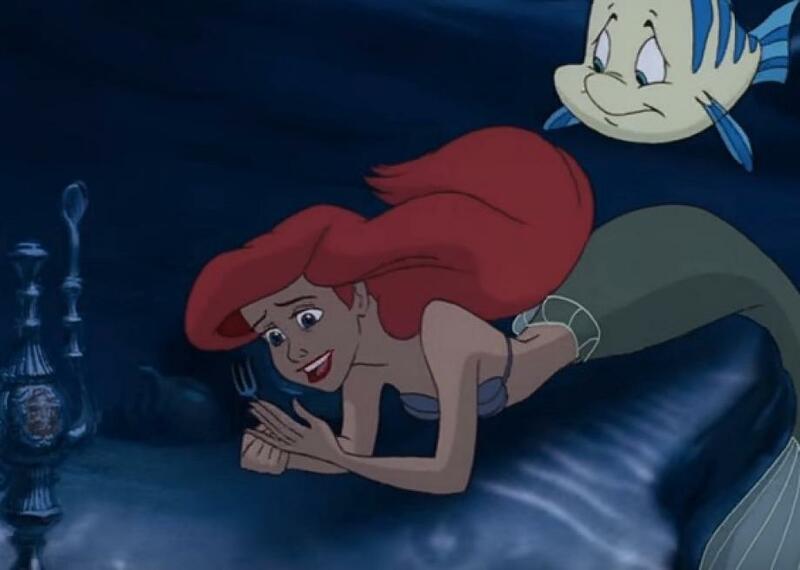 But since the boat sank recently, it’s not so surprising that Ariel and Flounder would discover the bones of an unfortunate passenger still resident in the ship. 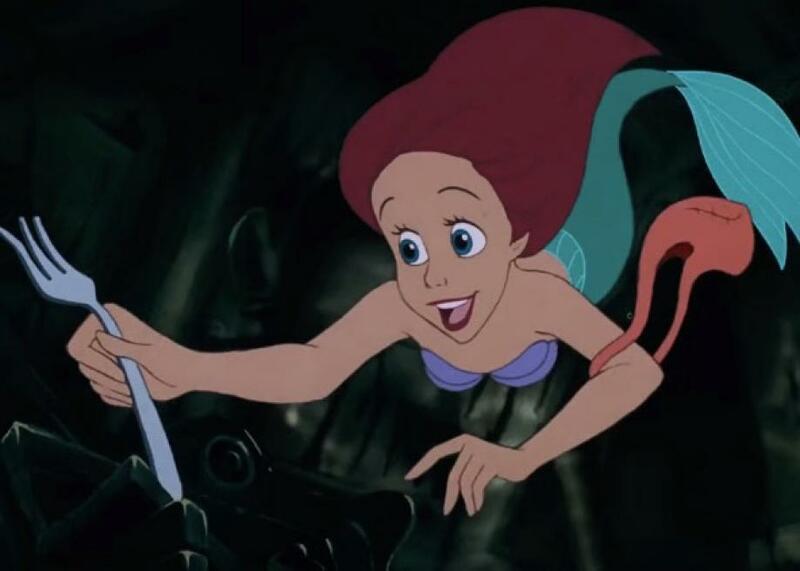 What is surprising is that Ariel finds a fork in a 16th-century ship. “The fork is kind of problematic,” says Crisman. “Forks don’t come into widespread use until a couple of centuries later.” And even when they first start being used, forks didn’t look like this one—they had only two tines. Metal also starts to corrode quickly in the ocean; the fork is awfully shiny for having been under the water for a month or more. The other big problem, according to Crisman, is the pipe Ariel finds. In the 16th century, tobacco had just crossed the Atlantic to Europe. Citizens in the Iberian peninsula had started getting into it, but they were more likely to roll tobacco leaves in cigars. Pipes didn’t become popular until the 17th century at least, and this one is a 19th-century style. Similarly, round portholes, like the one on the side of the ship that Flounder has to squeeze through, didn’t become a feature on ships until much later in time. In the 17th century, Crisman explains, war ships sometimes had round openings, but they would have had lids that fit tightly inside to close them. More likely, any opening low on the ships would have been square, and lidded shut. The portholes that we’re most familiar with, round glass windows, didn’t become part of ship design until the 19th and 20th centuries. Ships like this might have had windows, although this one is impressive. 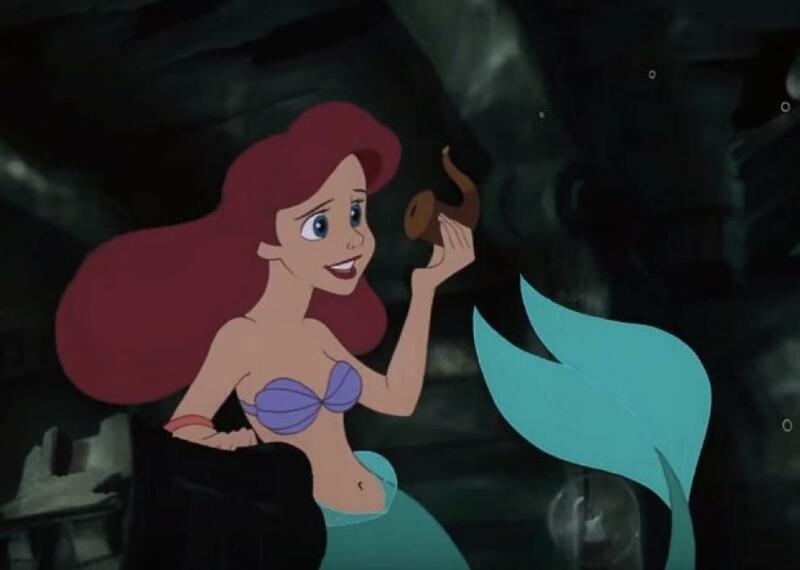 Hans Christian Andersen wrote the original Little Mermaid in the 1830s, and the clothes of the human characters in the movie also look to be from the 19th century. So one possible explanation that squares the style of the ship with the anachronistic artifacts is that some 19th-century shipbuilder decided to make a replica of a 16th-century ship. That could also explain why whoever built the ship did such a poor job. We also took a look at Ariel’s grotto, where she stores all the loot she’s collected from this and other shipwrecks. There’s a pretty big problem with this concept to begin with: stuff designed to survive on land would not survive long in an underwater environment. The metal would oxidize. “Sea worms” often feast on wood. Perhaps there’s something special in the water of the grotto that’s preserving all the artifacts. The idea of a candelabra being in a shipwreck isn’t so out there. But Ariel’s artifact collection does accurately reflect, to some extent, the objects that might be salvaged from shipwrecks. The candelabra in which she places the fork, for instance: “Things like that do occasionally turn up on shipwrecks,” Crisman says, although typically anything that was used on the ship would have a more practical design. In the bottom left of the shot, there are large, open-mouthed pots that also pass muster. The Portuguese used pots like these as storage jars, to transport commodities like olives and olive oil. Stashed in the grotto, the objects offer no clues about where they came from or how they were used. But perhaps Ariel was keeping meticulous notes on her discoveries, along with their original locations and contexts. If she only applied a rigorous scientific method to her collection process, Ariel’s enthusiasm for the material culture of seafaring humans might have made her a good candidate for a career in archaeology. We decide to give her the benefit of the doubt. “If she had not gotten involved with that prince, she could have gone on to be a maritime archaeologist of some renown,” Crisman concludes.